Here’s another bout of gorgeous clothing! These supernatural clothes don’t grow wings and enable you to fly or give the power to shoot laser beams out of your eyes or have super human strength or any kind of super powers. Those things would be good, but pretty much impossible, so instead it refers to the next best thing. These clothes are the most natural, eco friendly, ethnically sourced and organic around. 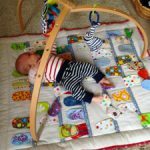 So if you want the best materials for your baby, you won’t find better than this. They combine organic cotton with a fabric called Modal which is a man made sustainable fabric that feels like silk. It doesn’t loose shape, fade or shrink and is created using cutting edge, environmentally conscious methods of production. 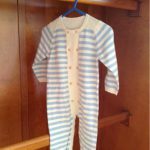 It is true… the fabrics they use do feel amazing and your children will think the same. The design is good and, I think, appeals to dads as a lot of their clothing is black or strong colours. There’s none of that ‘JoJo mama bebe’ stuff here! The baby black range is especially gorgeous and I would really recommend taking a look. 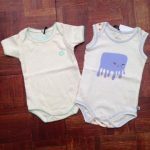 The prices aren’t too bad considering your purchasing the purest and most natural baby/childrens clothes possible. As I always say, you pay for what you get! My only consideration is that they don’t have a huge range of clothing. What they do is brilliant, but if you wanted a large range, this isn’t the place. Correct me if I’m wrong though, this company isn’t about mass produced items of clothing based on huge ranges. It’s more a gorgeous item of clothing that will compliment the rest of your wardrobe. 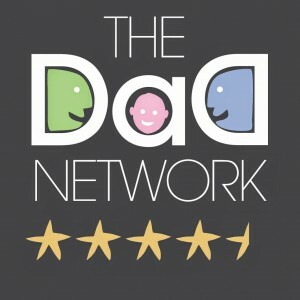 This a great company doing great work and producing great natural clothing and for that reason they deserve a well earned official Dad Network Star Rating of 4.5 / 5 stars. No one dresses a baby in black. Big mistake! I’m curious, why a big mistake? Ditto! Not sure why black is a mistake… if you look on their website, the clothes look great!